Kaley + Keith got married last weekend on a beautiful sunny day with 50 of their closest friends and family at the Clarksville Country Club. It was the sweetest ceremony full of laughter and followed with an amazing six course dinner over candlelight. 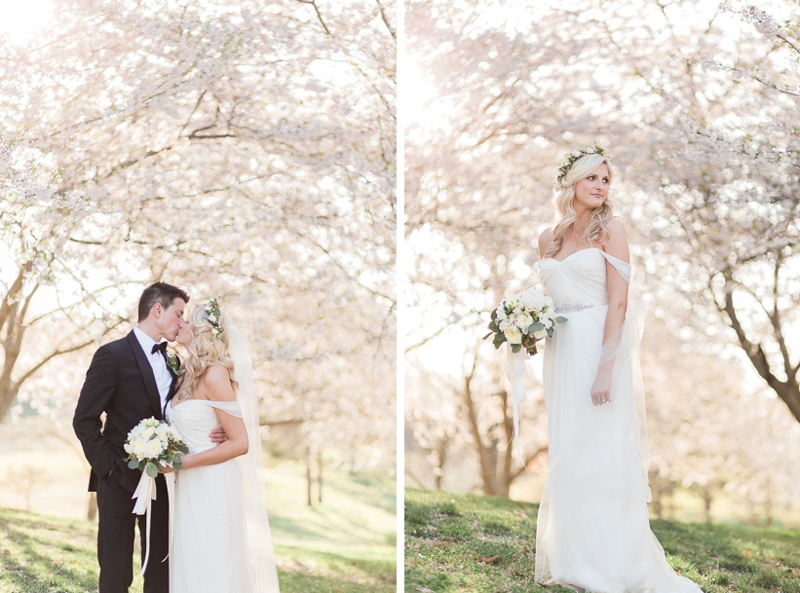 It was so special to celebrate with these two and document each sweet moment… and I’m honestly just giddy over these images during golden hour under the canopy of flowering cherry trees… it was magical. I can’t wait to share more from this lovely day! Be sure to watch their gallery to see all of their beautiful moments, coming soon! // Hair by Lindsey Heggie and makeup by Sara Hendrix, Bella by Sara.